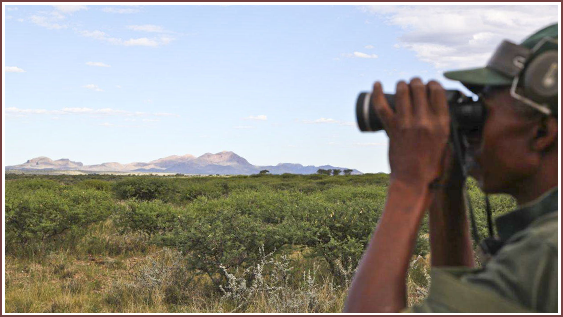 The wildlife population in Namibia is one of the richest in entire Africa. 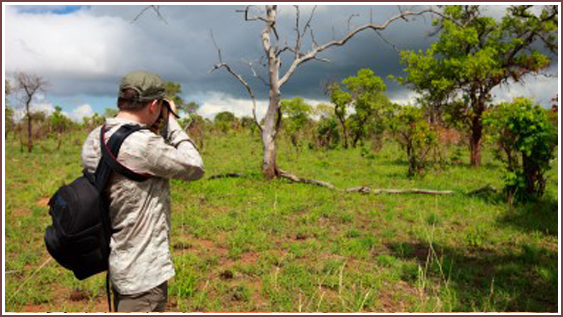 Over 700 different animal species live here in the proably most beautiful landscape of Africa. In our 10,250ha farm and game hunting territory our animal find everything they could ever wish for. 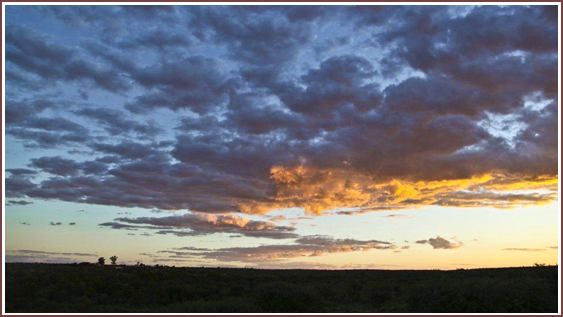 Wide savannas, hills, grasslands and a balanced flora and fauna. The dunes and the wide landscape keep our most precious treasure: the wildlife of the Hefner Farm. Here we are going to introduce you to the most beautiful of our animals! 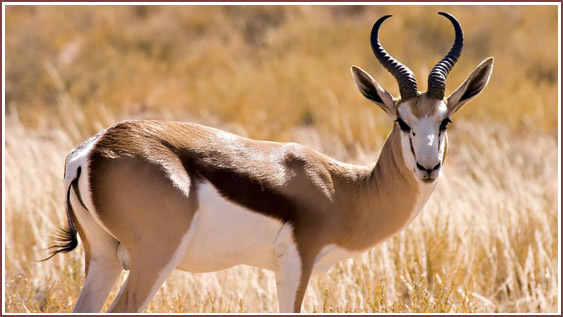 The majestetic and graceful Oryx is the heraldic animal of Namibia. The Tail is similar to the one of a horse, their impressive horns can grow from 60-150cm. The body of the Oryx is fitted perfectly to heat, their fur reflects hot sunlight and their body temperature can vary to prevent excessive loss of water. 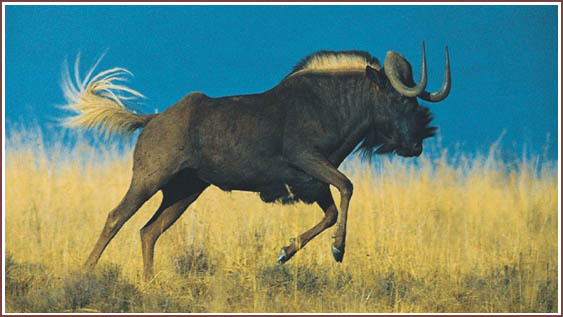 The Black Wildebeest or also White Tailed Gnu is a rare and small breed of wildebeest. Their herds hold up to 10-30 individuals, mostly mothers with their kids, the bulls keep their territories separate. The outstanding difference in color of the tail, mane and fur make it a wonderfully majestetic animal to look at. The Blessbock is an Antilope species which only occours in Africa. There extremely nice to look at, and not just because of their characteristic white stripe on their head. 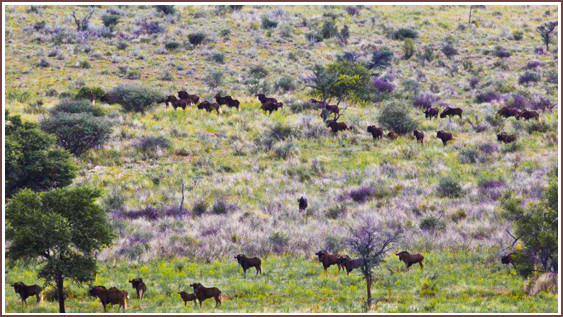 Blessbucks live in herd with up to 14 individuals. 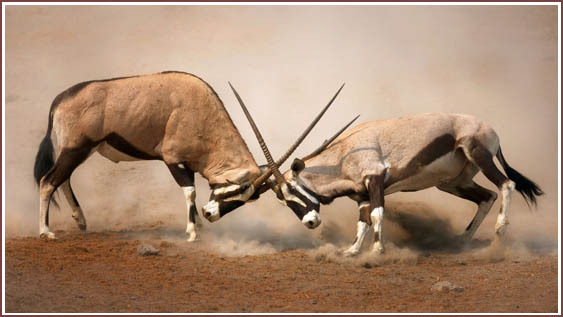 In mating season the males would be having exciting fights over their territory. The Duiker is a small Antilope species which lives in the Sub-Saharia territories. This sweet, small animal doesn’t just eat grass and seeds, it also has a special appetite for ants, which provide additional nutrition. The Duiker would duck down into the grass if it feels threatened. 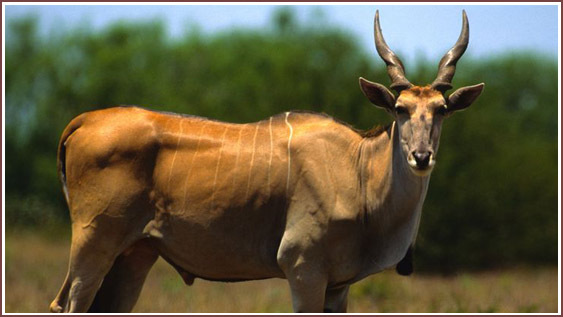 The Eland is a big, bulky Antilope species with twisted horns, which especially look amazing on the male individuals. It’s home is mostly the center, the south and the east of Africa. Elands are leaf eaters, but they are also often seen digging for roots and other food in the ground. 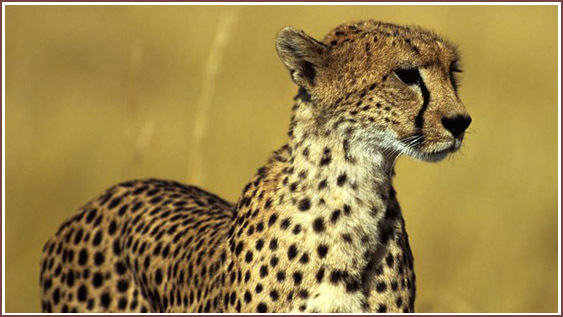 The Cheetah is a wild cat and the fastest living animal on earth. His beauty and grace has been fascinating humanity since thousands of years. Females live alone, whilist the males would team up in small groups of up to four individuals. They mostly hunt for different kinds Antilopes and Warthogs. 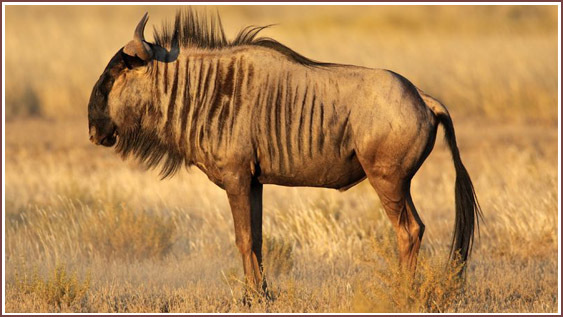 The Striped Wildebeest is a widespread Wildebeest breed in Africa. Like all Wildebeest it is a grass eating herd animal, which can be seen in large groups of hundereds of animals during the rain season. Males live on their own, while femals and their young would live in herds guided by one male. 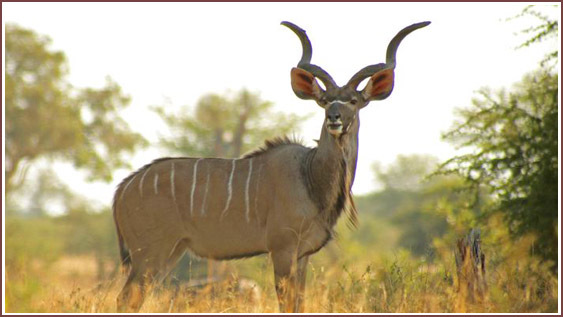 The Kudu is a Antilope breed, spread in entire Africa, which can bee seen in little herd of up to 15 individuals. The striped fur and their impressing horns are characteristic for the Kudu. Traditional instruments like the Kuduzela are made from the horns of the Kudu. 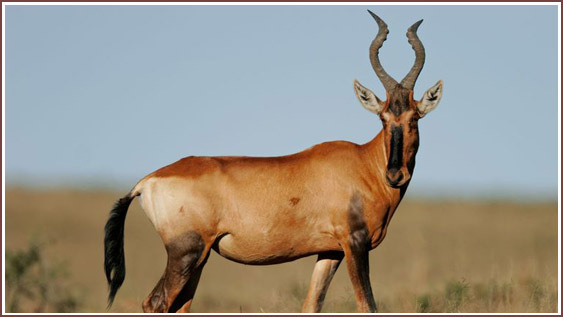 The Hartebeest is a Antilope species living in the Savannas of Africa. Their fur is, depending on the species and gender, reddish to yellowish brown. Their horns can grow up to 70cm and are being grown by both, males and females. 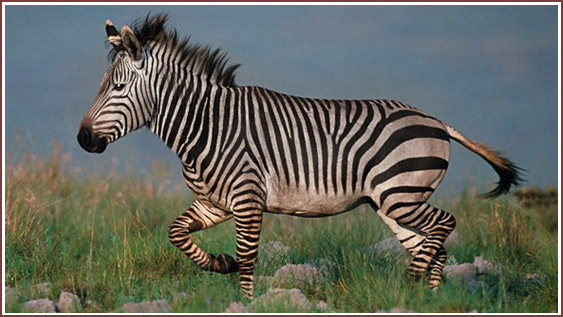 The Hartmann Mountain Zebra is a bulky, smaller breed of Zebras and it is living mostly in the northern Areas of Africa. Unlike other Zebras it’s belly is blank and also the striping of the fur is different from other Zebra breeds. The Leopard is a wild cat breed spread throughout Africa and Asia. A fully grown Leopard can weigh up to 90kg. Their precious and beautiful fur makes these amazing animals very nice to look at. 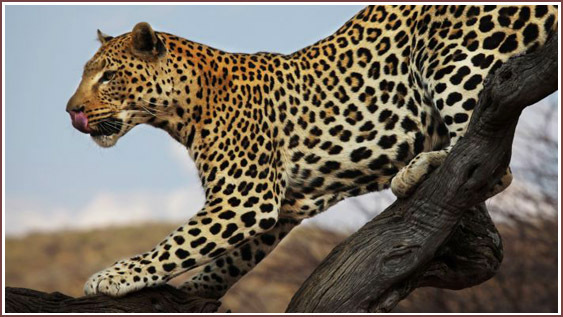 Leopard have been seen stealing prey from Cheetas and even Lions. They would drag their prey up to a tree to protect it from other animals. 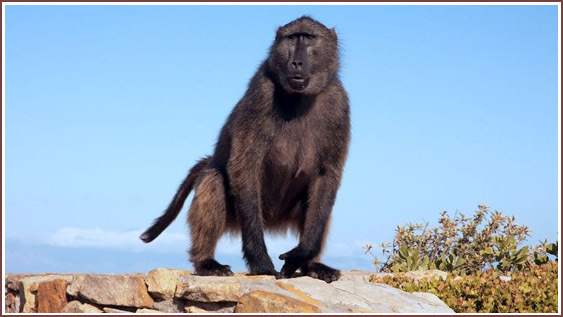 Baboons are a monkey breed mostly living all throughout Africa. Like all monkeys also baboons prefer living in huge packs or herd with dynamic social structures. 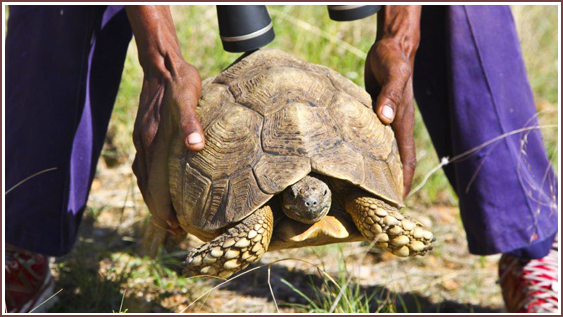 They are Omnivores which makes living the African landscape a bit easier for them. 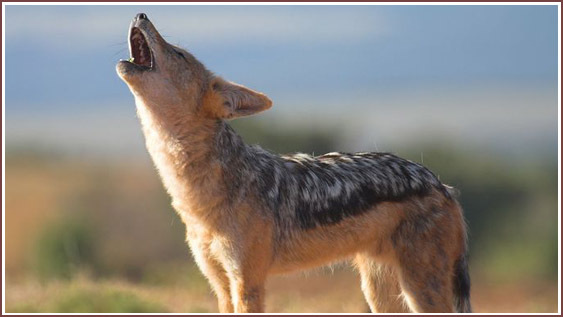 The Jackal is a small wild dog breed with a foxish to wolfish look to them. Like all dogs and wolves the Jackal prefers to live in packs, eventhough they mostly hunt alone. This big ears are functioning as cooling system for it’s body. The Jackal prefers fresh meat but it had also been seen as a scavenger. 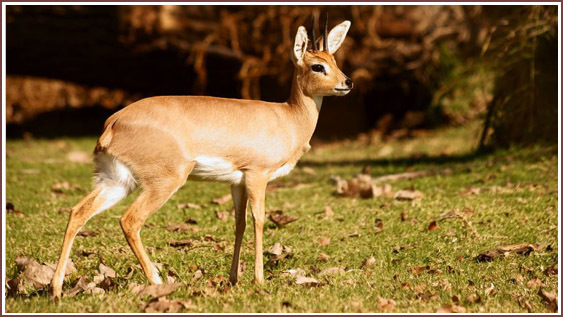 The Springbuck is beautiful and graceful Antilope breed with a very attractive fur coloring. It can jump up to 3m high and more. 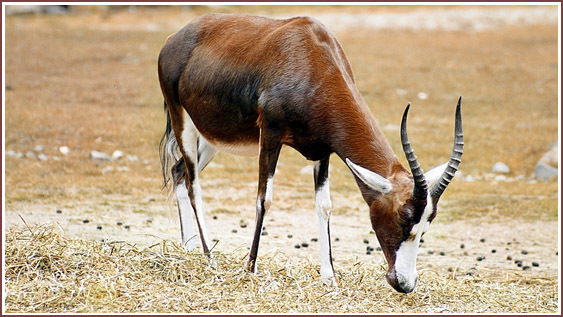 The Horns of the Springbuck can grow up to 45cm. 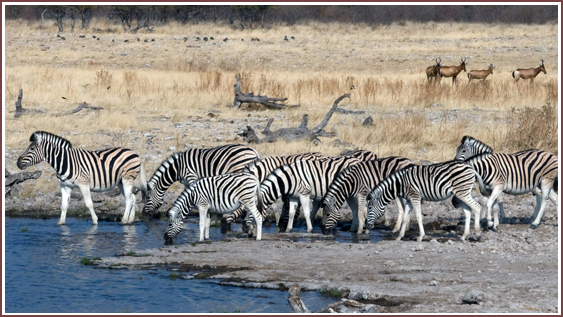 While the females would live in herds with their young, the males mostly live in small groups with other young males. As long as their food provides enough liquid, they are able to survive without drinking water. 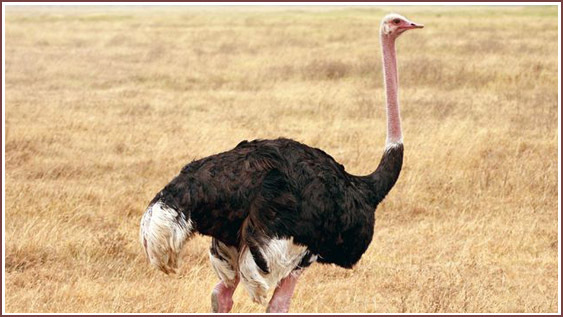 The Ostrich ist he biggest living bird on the world. Whilst males would have almost black feathers, the ones of a female would be more brown. It’s precious feathers and meat make it a nice trophy for hunters. 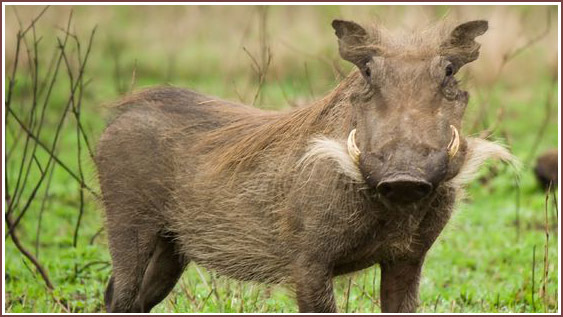 The Warthog is an african pig breed. In danger or when in fear the Warthog would lift up their mane and tail. In some places Warthogs are considered vermins, but they also get hunted a lot because of their delicious meat. Like all pigs they simply love rolling in mud and water.